The second-gen Nook weighs 7.5 ounces, has a 6-inch Pearl display, wi-fi, and will cost the same as Amazon's $140, wifi-only Kindle reader. The Nook is shorter than the Kindle, thanks to the lack of keyboard, and has a countoured, matte back which makes it easier to handle. As far as guts go, it doesn't have a capacitive touch panel, but rather an infrared ring around the screen which detects finger input (along the lines of the touchscreen Kobo or the HP Touchsmart all-in-one computers). The Nook runs on an 800MHz TI OMAP 3 processor, has 2 gigabytes of onboard storage (along with a MicroSD port) and is powered by Android 2.1. The screen uses a new proprietary technology, which prevents the black/white flashing and ghosting found on other E-Ink readers, instead giving pages the effect of dissolving into each other when you turn pages. The touchscreen is not only used to navigate through a book, but also to access the Nook bookstore. You can also look up words, highlight passages and make notes using the on-screen keyboard. And speaking of the bookstore, Nook launched a feature called Nook Friends, which lets you follow other Nook users you know, to see what they're reading and recommending. Plus, you can lend books to one another. 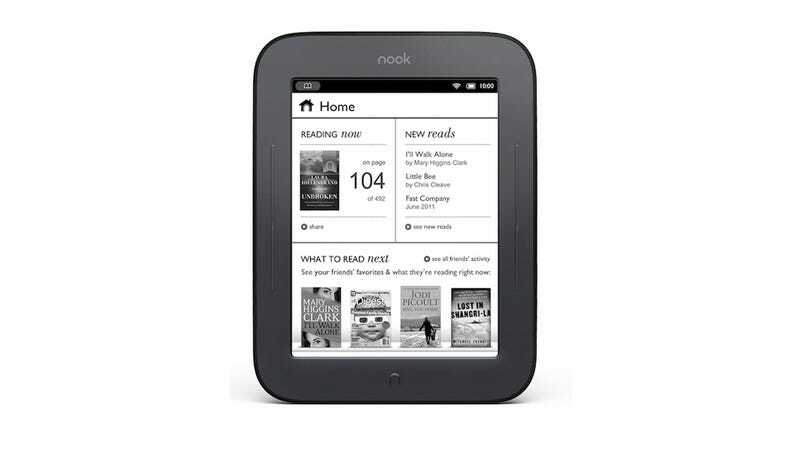 The Nook is available for pre-order online (and in stores) right now, and will begin shipping on June 10 for $139. The original wi-fi and 3G Nook will sell for $119 and $169, respectively.